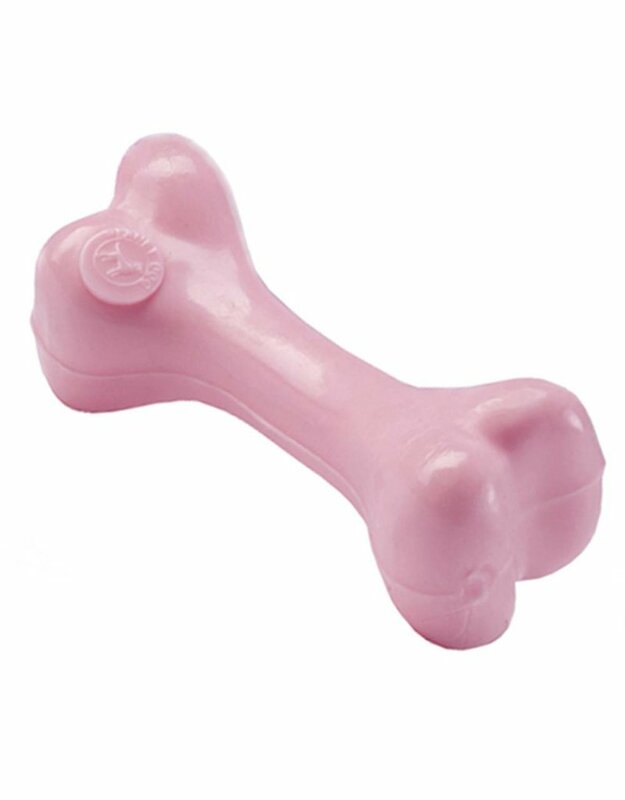 Planet Dog took their award-winning Orbee-Tuff® material and developed a special soothing formula just for growing pups. 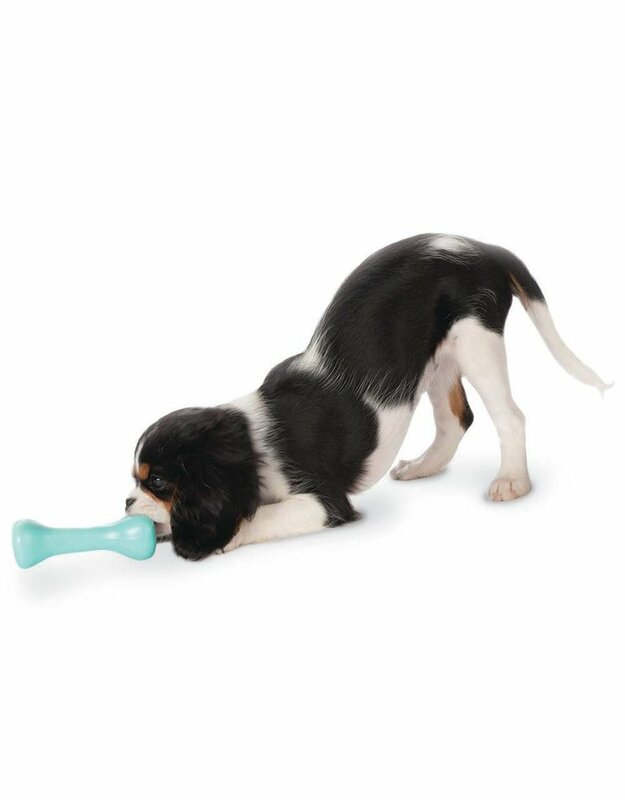 Durable enough to withstand the chewing habits of a teething pup, yet pliable enough to be gentle on their developing teeth. 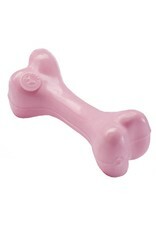 These puppy pleasers are especially soothing when frozen. 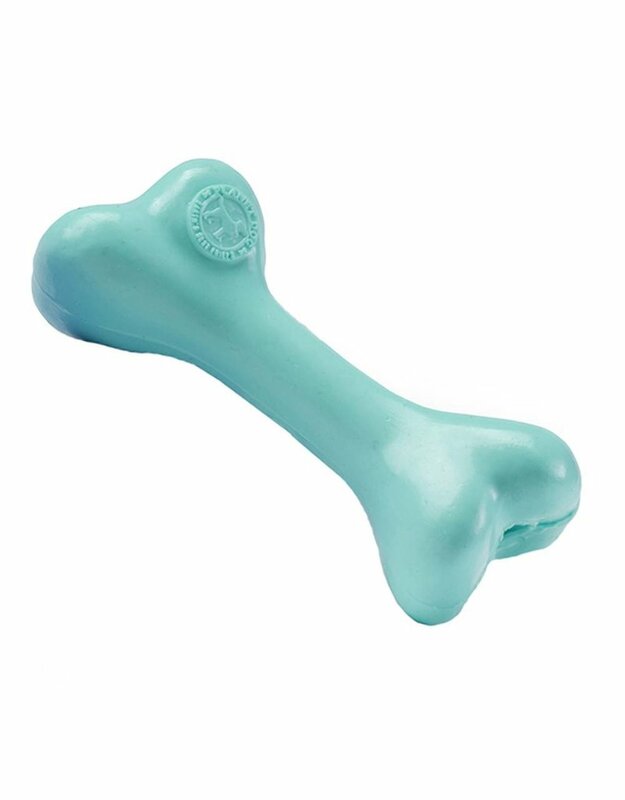 Orbee-Tuff® Puppy Bones are just chewy enough to satisfy the need to gnaw, yet firm enough to maintain Planet Dog's famous Orbee-Tuff® durability. Rated 3 out of 5 chompers for moderate chewers. 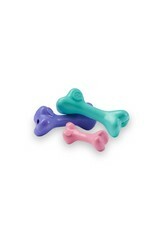 Available in puppy pink, puppy teal, or puppy purple. Two sizes suit all puppies. Lil' Pup Bones are 3.5" long, and Big Pup Bones are 5" long.